"We are so very sorry for your loss and will keep all of your family in our prayers!" Judy Villarreal, 62 of St. Hedwig, Texas went home to her forever home with the Lord on October 12, 2018. Judy was born on November 7, 1955 in Pasadena, Texas the daughter of Noal Moon and Ernestine (Spinks) Moon whom have preceded her in death. Left to cherish her memory are her husband Ted Villarreal; children, Mandy Stewart (Andrew), Kaci Walters (Josh), Nick Villarreal (Acelya), and Anna Villarreal; grandchildren, Ainsley Stewart, Addison Stewart, Avery Walters, Sam Walters, Trenton Villarreal, and Sakari Villarreal; brother, Gary Moon (Vicki); and niece, Makenzie Shewcraft (Brett). Judy’s son-in-law, The Reverend Dr. Josh Walters will be officiant of the service. You are welcome to leave messages of condolence at www.finchfuneralchapels.com. 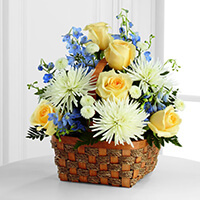 To send flowers to the family of Judy Villarreal, please visit our Heartfelt Sympathies Store. Our deepest sympathies and fervent prayers for peace to the family. 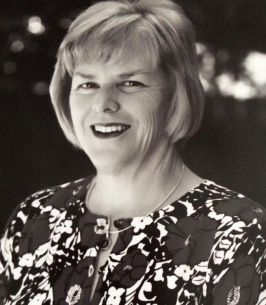 Judy was a kind soul and extended her love to our family in times of need. She is Heaven with Cindy. We are so very sorry for your loss and will keep all of your family in our prayers! Prayers of peace and understanding are going out to the beautiful family she left behind. Prayers for all of the family during this time. I was a classmate with Judy and she was such a sweet person. As the days ahead that you each will face I pray that the Lord will give you comfort as only he can.